“What’s the first book in the series?” “What comes next?” “Have I read this yet?” Mystery lovers obsess over these questions every day. Find the answers you're looking for in Organizing Crime: The Mystery Company's Guide to Series AND Organizing Crime Classics: The Mystery Company's Guide to Timeless Series. The big new Fourth Edition of Organizing Crime is new for 2017. The Second Edition of Classics came out in Fall 2016. Between the two volumes, we take over 11,500 titles in 1200 mystery series and put them in order. Handy checklists help you manage your reading and keep track of the books you’ve bought and the next books you need. 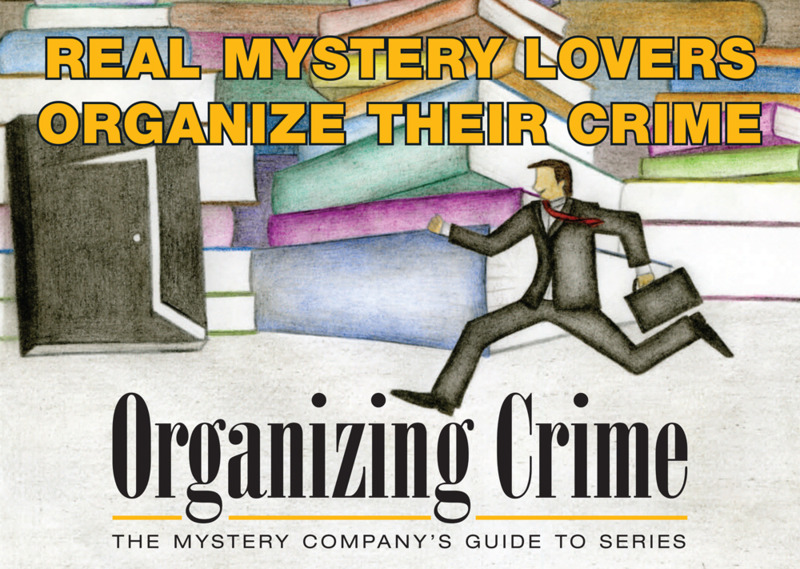 REAL MYSTERY LOVERS ORGANIZE THEIR CRIME with Organizing Crime: The Mystery Company's Guide to Series. and Organizing Crime Classics: The Mystery Company's Guide to Timeless Series. Lately, we’ve been working our way through three series that are at the heart of what we believe mysteries are all about. Terence Faherty’s Owen Keane series, P.M. Carlson’s Maggie Ryan novels and John Billheimer’s Owen Allison series are intelligent and endearing, books that readers walk into independent bookstores hoping to discover. Maggie Ryan has an ability to make folks around her better people. Owen Keane is driven to answer life’s larger questions, seeking answers through methods he’s learned from the detective stories he cherishes. Owen Allison’s investigations explore the interplay between development and preservation in his native West Viriginia. These aren’t just great reads. These elegant whodunits and fascinating characters leave you feeling good about the genre itself.